In Beck’s time, the best way to Ong’s Hat was the rough tarred road out of Pemberton. Little travelled, the long, slow road passed through miles of bleak forest, cranberry bogs, and forlorn cedars where scarce a human foot had trod. Only a dusty clearing betrayed the location of where the town once stood. Today, the road still follows the same route, but it is now well-maintained asphalt. Want to go? 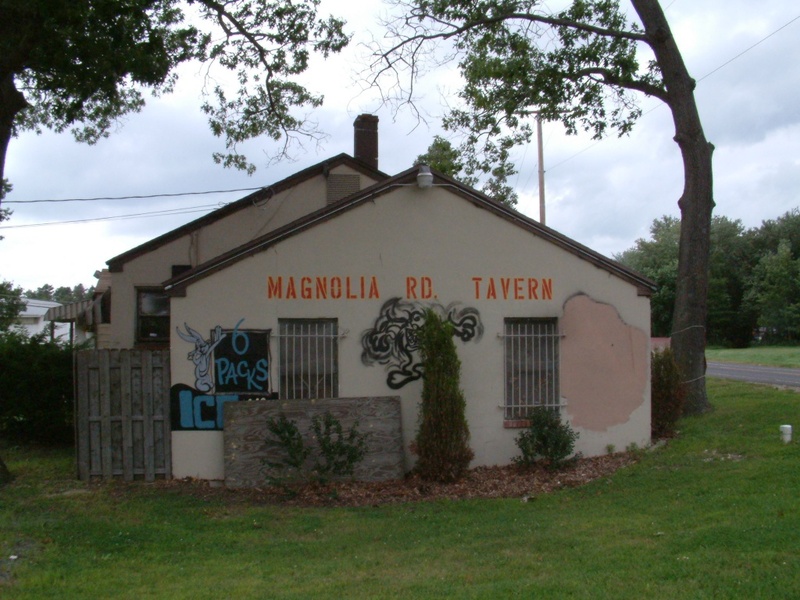 Just travel south from Pemberton, past the old Magnolia Road Tavern, until you come across a restaurant on your right hand side. You’ve arrived in Ong’s Hat – miles away from anywhere. Blink and you’ll miss it. The story of Ong’s Hat begins long before the birth of our nation. On February 5, 1631 the ship Lyon arrived in Boston Harbor from Bristol, England. The settlers on board included Francis Ong, of Suffolk County, England; his wife Francis; and children Simon, Jacob, and Isaac. Members of the Society of Friends, the Ongs left England seeking religious tolerance in the Massachusetts Bay Colony. Isaac and his wife, Mary, moved to Burlington County around 1688, eventually settling on a plantation in Mansfield Township. They had five children: Jacob, Jeremiah, Isaac Jr., Sarah, and Elizabeth. On June 13, 1696 Jacob Sr. died, leaving his plantation and other property to his second wife, Sarah. Jacob Ong was born on his father’s plantation around 1672, and followed in his footsteps as a farmer. An early court case in 1698 tells of Jacob being accused of riding his horse at a gallop “in the fair time Betwixt the Market house and the water side” in Burlington City – charges that were eventually dropped when nobody appeared in court to prosecute. Sometime after 1699 he left Mansfield, following his sister Sarah and her new husband, Edward Andrews, to Egg Harbor. The forlorn cedar swamps along the Stop the Jade Creek called to Jacob, and in 1700 he purchased 100 acres of land in Northampton Township, encompassing the area that would later be known as Ong’s Hat. There is no evidence that he ever intended to build a home there. It’s more likely he realized that he could make good money harvesting the cedars on his land. So what about the hat? The oldest maps simply show the location as “Ongs.” Thomas Gordon’s Gazetteer of 1834 seems to be the first published source in which the town gains its puzzling surname. The Magnolia Road Tavern, just north of Ong’s Hat. Several theories abound explaining the unusual name. The most famous recounts Jacob Ong as a type of dandy, as best as the eighteenth century could produce, that regularly visited the local tavern. Jacob was quite the charmer and known for wearing a fine silk hat. One night he seems to have gotten on the wrong side of his dance partner who, in a fit of anger, snatched the hat from Jacob’s head and stomped on it in the middle of the dance floor. This story can be discounted, as a tavern was not located here until the early 1800s. 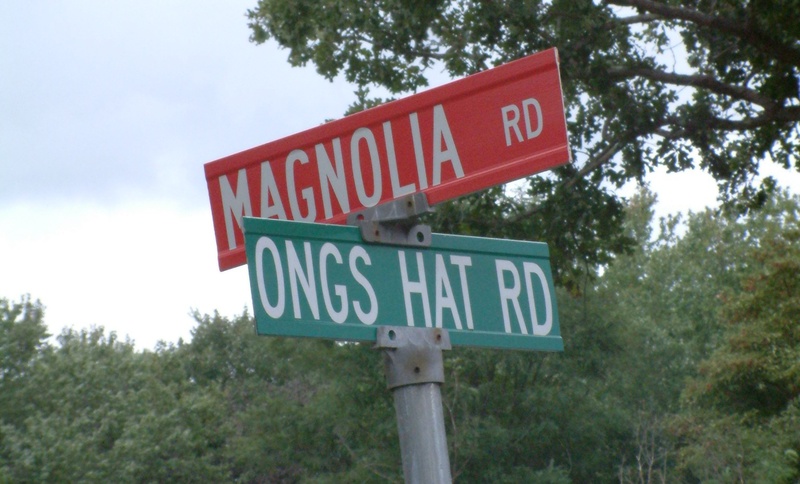 Another story is that Ong’s Hat is a misspelling of Ong’s Hut, and that the Ong family built a hut or some other structure as a convenient stopping-over point between Egg Harbor and Burlington or Mansfield. The town of Ong’s Hat soldiered on in relative anonymity until tragedy struck. About 1917, a pine hawker named John Zimbacke and his wife mysteriously disappeared from their small cabin. Nine years later, brothers Orville and Joseph Carpenter came across the skull of the woman while hunting for deer along the fringes of a cranberry bog north of Ong’s Hat. Arriving on the scene, Burlington County detectives, led by Ellis Parker, found the bones of John scattered by buzzards across nearly two miles. Suspicion fell to the couple’s son, who disappeared shortly before his parents went missing. The trail led Parker to New York City where, unfortunately, it went cold. It has been said that Parker kept the skull of the woman in his office as a reminder of the case he was unable to solve. Eight years later, another crime brought Ong’s Hat back to the headlines. Farmer Ellwood Anderson was driving from Mount Holly to his home near Reed’s Bogs when he found the road blocked. It was shortly before 8 PM and the dim light of the moon illuminated the vehicle that had halted his progress. Anderson stopped his car and walked towards the vehicle, whose doors stood open. Inside, the bodies of two men slumped over to the side. Peering out into the dimly lit woods, he saw another body. Horrified, he ran back to his car and phoned the State Police barracks in Columbus. When the police arrived, they found that the men had all been shot at least twice at close range with a double-barrel shotgun. Once again, Ellis Parker made his way out to Ong’s Hat to investigate. Details on the victims came first – Edward Reihl, Stanley Zimmer, and William Schwar, all from Easton, Pennsylvania. Prohibition had just started, and the three young men were known to be members of a gang that would follow molasses trucks to clandestine stills in Pennsylvania and Western Jersey. They would burst out after the truck had arrived and shake the owners of the still down for money with a threat to report their operations. The men frequently ran afoul of Pennsylvania mobsters, and it was reported that they had been “beaten up” several times prior. The detectives were tipped off that the trio had planned to raid a still in Trenton before the mobsters got to them. “They tried to burn somebody up once too often,” Detective Parker said to a Trenton Evening Times reporter, “and they got burned up themselves.” Parker surmised that the perpetrators rounded up the men and drove to a predetermined spot in the backwoods near Ong’s Hat. The men were removed from the car, lined up, executed, and haphazardly returned to the vehicle. Nearby residents reported hearing the retorts from the shotgun, but assumed that it was blasting being done nearby. When Henry Charlton Beck visited in the late 1920s, he found the hamlet to be little more than a clearing with bits of broken brick, pieces of roofing, cast-off shoes, and long, straggly Indian grass to mark where the town once stood. He found one last resident, Eli Freed, trying to make a living there. Freed, then seventy-nine years old, had moved there from Chicago. At Ong’s hat, Freed said, he had cleared twenty acres by hand and built a house with the help of a man called Amer. He was having a rough time of it – the deer and rabbits kept eating the produce he attempted to grow, despite the high fences constructed to keep them out. By the time Beck came back to revisit, Freed had departed and Ongs Hat was deserted. Ultimately, the strangest tale about Ong’s Hat has to be about the Incunabula Papers. In the papers, it’s claimed, Wali Fard, an American expatriate and follower of tantric and shamanistic magic, returned to America after the fall of Afghanistan to the Soviets. He laundered his savings by buying 200 acres of land near Ong’s Hat, including the former Ong’s Hat Rod and Gun Club. There, with several other people who had followed him from New York, he founded the Moorish Science Ashram. Ten years later, the ashram became a place of refuge for other Moors and outcasts. Among the new residents, by then living in a scattering of weather-gray shacks, Airstream trailers, recycled chicken coops, and mail-order yurts, were Frank and Althea Dobbs, siblings and scientists. Joseph Matheney, one of the authors of the Incunabula Papers, claims that the Dobbs were scientists who lost their positions at Princeton University when they attempted to submit a thesis based on “cognitive chaos” – a scientific and philosophical system that stated that patterns of thought could affect autonomic functions like tissue repair and aging, unlock the brains unused potential, or perhaps even control matter itself. At the ashram, the scientists resumed their aborted experiments. Through trial and error they found that by controlling thought patterns, especially with the use of sensory deprivation, that one might be able to cross over to another universe. They constructed a series of “vessels” they named “eggs” that would facilitate the journey. The legend continues that one night the compound was raided in a “black ops” operation and the buildings and experiments all destroyed. Elsewhere the papers say that groups of refugees left before the raid happened, settling in Ong’s Hat in a parallel universe – one just like our own but without human habitation. 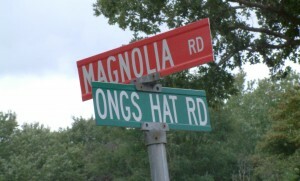 While the events that they claim happened at Ong’s Hat are certainly fictional – there was never any Ong’s Hat Rod and Gun Club, for example – the story itself once again thrusts the tiny backwoods hamlet back into the spotlight. 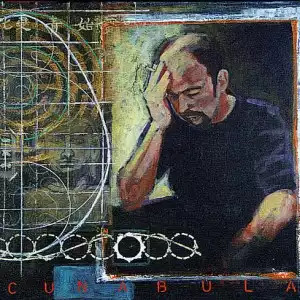 Joseph Matheny and others created the Incunabula story as an experiment in “culture jamming” – creating a fictional, yet somewhat plausible, story and weaving it into the social consciousness. He was successful – years of photocopied pamphlets, text files uploaded to pirate and fringe internet bulletin board systems, websites, blogs, radio interviews, and books have cemented the infamy of Ong’s Hat. Whether it’s a hat, a hut, or a tavern, Ong’s Hat is certainly one of the most infamous of the Pine Barrens ghost towns. Beck, Henry Charlton. Forgotten Towns of Southern New Jersey. (New Brunswick, NJ: Rutgers UP, 1994), 7. Ong, Albert R. The Ong Family of America. (Martins Ferry, OH: privately printed, 1919) PDF: (http://archive.org/download/ongfamilyofameri00onga/ongfamilyofameri00onga.pdf), 15. Honeyman, Abraham Van Doren. The New Jersey Law Journal, Volume XV. (Plainfield, NJ: New Jersey Law Journal Publishing Company, 1892), (http://books.google.com/books?id=DntMAAAAYAAJ), 7. Bisbee, Henry H. Sign Posts, Place Names in History of Burlington County, New Jersey (Willingboro, NJ: Alexia Press, 1971), 176. Boyer, Charles S. Old Inns and Taverns in West Jersey. (Camden, NJ: Camden County Historical Society, 1962), 100. “Finding of Bones Reveals Murders.” Trenton Evening Times, Dec 23 1926, 3. “Mob Execution Seen in Killing.” Trenton Evening Times, Sept 24 1934, 1. “Trace Mobsters in Trio Killing.” Trenton Evening Times, Sept 25, 1934, 8.